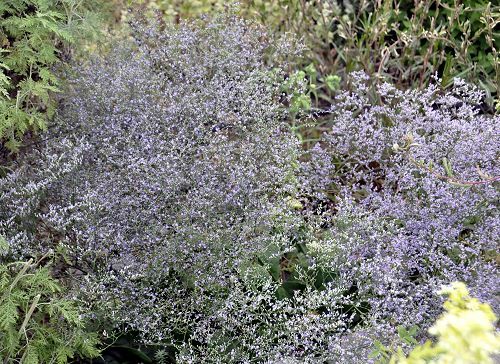 The delicate blossoms of Limonium latifolium are like a soft purple haze. 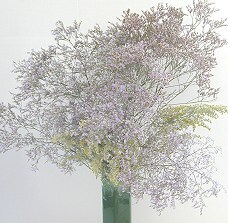 When the flower heads dry the purple flowers either fall off or close up very tightly. 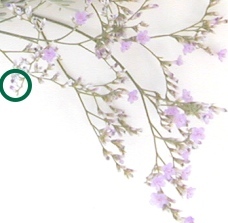 The little purple dots on top of the white sepals in the green circle below are about all that will remain of the Sea Lavender flowers when dried but that is enough to make a wonderful filler for wreaths or other dried flower arrangements. 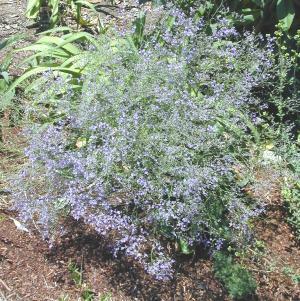 Sea Lavender makes a great addition to our Crafter's Herb Garden Six Pack.